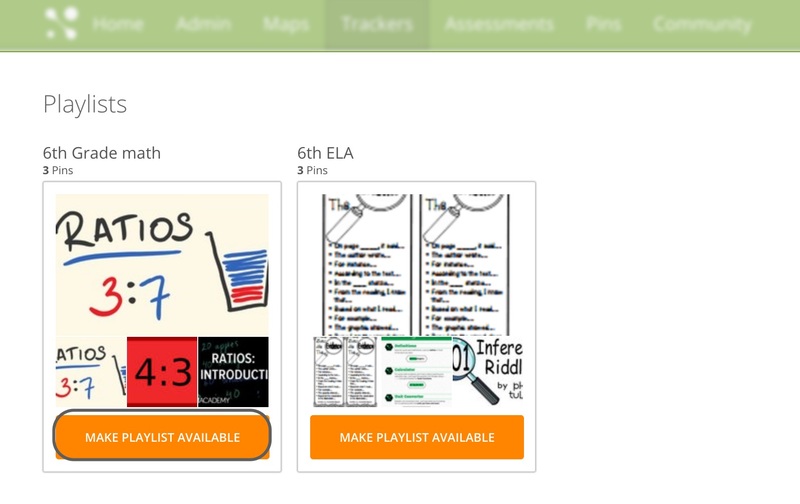 You can make playlists available to students to provide additional learning activities. Set up interventions and concept practice for the students directly from the tracker. If you see a standard that shows many students that need remediation, you will be able to send a playlist directly from that standard to all of your students in the student portal. The MasteryConnect Student Portal is a premium feature that is available to teachers who have integrated with their school or district Student Information System (SIS). First, click on the tracker. You will see a pin icon next to the tracker menu. You can also select the playlist from an individual standard by clicking on the pin icon next to the standard name. Click on the icon to open up your Playlists. Select the Playlist you want and click Make Playlist Available. 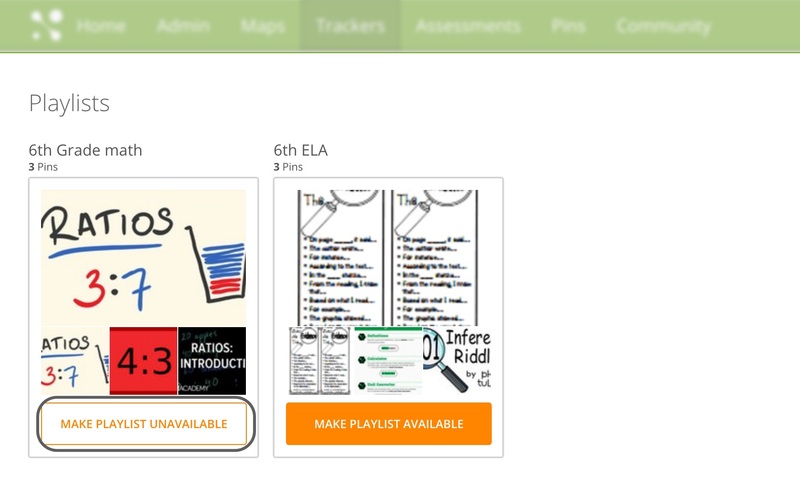 All students from the selected tracker will see the playlist when they log in to MasteryConnect. You can also make the playlist unavailable if you no longer want students to have access to it in the student portal. Follow the same steps and then click Make Playlist Unavailable. 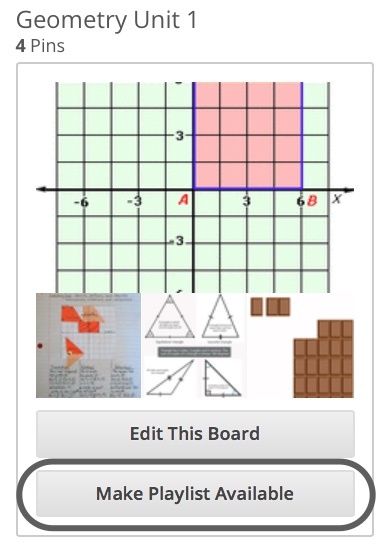 Click on Pins, and then click on My Boards. Find the playlist that you want to send to students, and click on Make Playlist Available. Select the trackers that you want to make the playlist available for, and click Send. 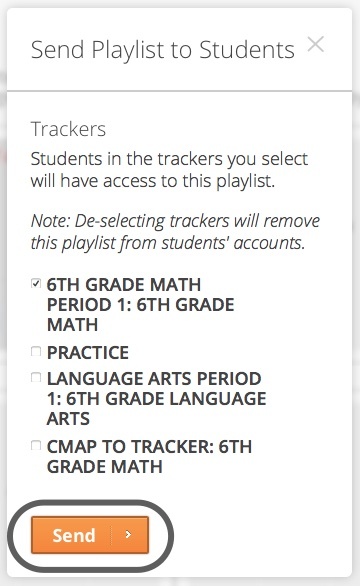 All students from the selected trackers will see the playlist when they log in to MasteryConnect.